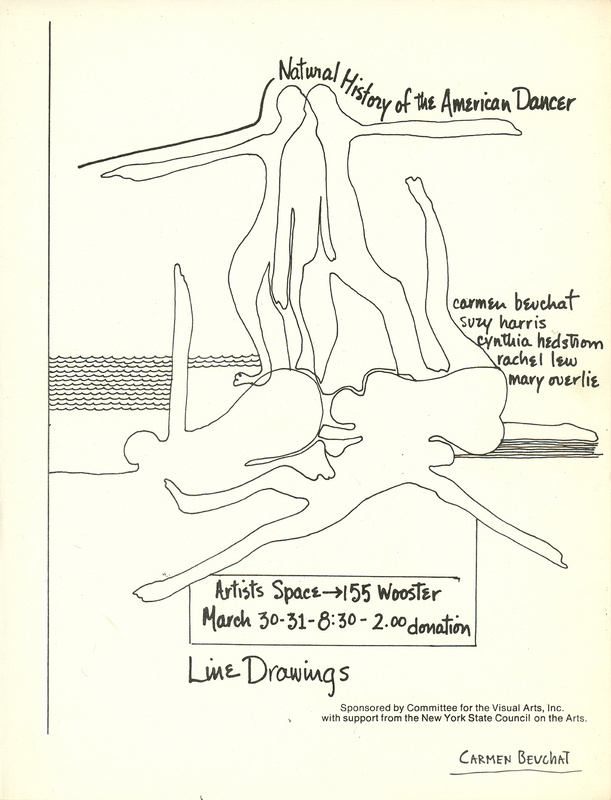 Afiche de Natural History of the American Dancer, “Line Drawings”. Con la participación de: Cynthia Hedstrom, Rachel Wood (Lew), Carmen Beuchat, Suzanne Harris y Mary Overlie. Performance realizada en Artist’s Space, 155 Wooster Street, Nueva York, Estados Unidos, 1974. Proyecto patrocinado por Committee for the Visual Arts, Inc y el apoyo de New York State Council on the Arts.